W…W…W…Wednesdays is a weekly meme hosted by MizB at Should be Reading. To play along, just answer the following three questions: What are you currently reading? What did you recently finish reading? What do you think you’ll read next? 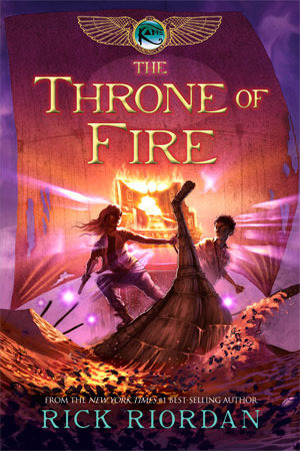 I recently finished book two of the Kane Chronicles by Rick Riordan. 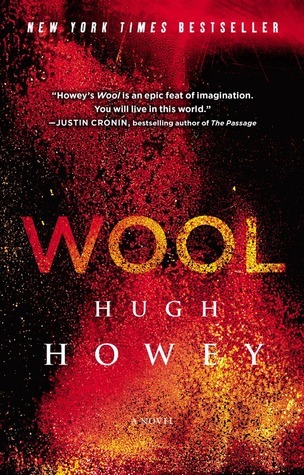 I really enjoyed it and I think I even liked it better than the first book. You all the usual characters but there are a few new players that show up. As per usual with Riordan, all the characters were well done and flushed out. I have yet to write a review for this but I will get it done! 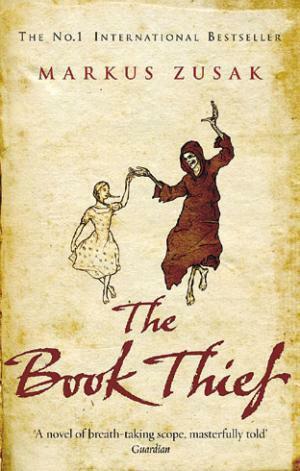 I’m currently still reading The Book Thief by Mark Zusak. I put it down to work on finishing the rest of Kane Chronicles because I have to return those to the library before I leave for vacation. Speaking of, I’m also reading the last of Kane Chronicles – The Serpent’s Shadow – and plan to have that done by the end of the week. Up next I have two more library books to read before the due dates: The Chaos of Stars by Kiersten White and Between the Devil and the Deep Blue Sea by April Tucholke. And since I have promised this to Isis, I will also start A Feast for Crows by Martin right when I finish the Kane Chronicles. 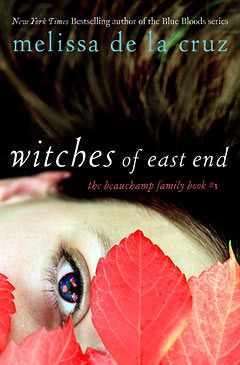 I also want to start Witches of East End by Melissa de la Cruz soon. 1. 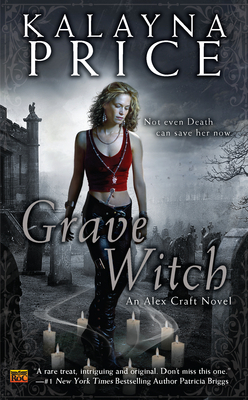 Alex Craft by Kalayna Price – I love this series and this author. Her writing is magnificent and I feel like the books don’t get enough love. The fandom is small but it’s so good! 2. 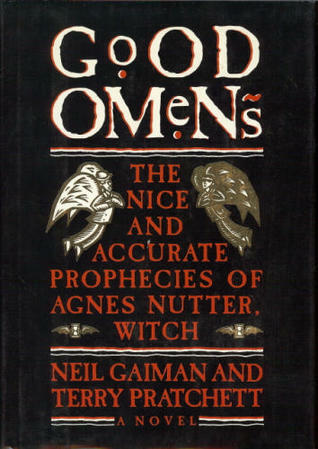 Good Omens by Terry Prachett and Neil Gaiman – This apocalyptic novel is well written and just filled with good, witty humor. I picked it up out of boredom at my Grandparent’s house and ended up taking it home with me. It’s the only Prachett and Gaiman book I’ve ever read but I plan on reading more. 3. 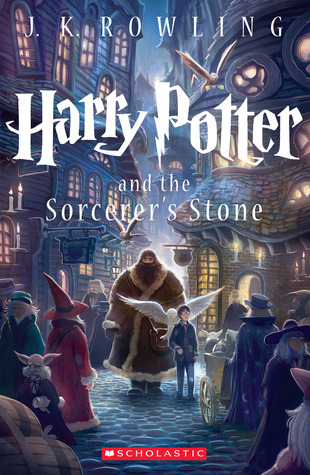 Harry Potter by J.K. Rowling – One of my childhood favorites and one of my favorite authors. I recommend this to anyone who has yet to read them. 4. 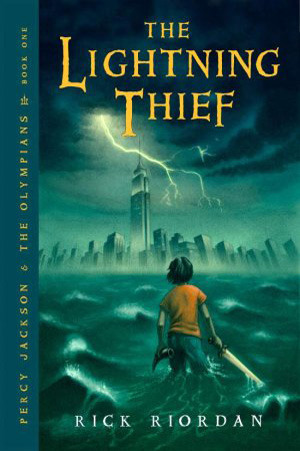 Percy Jackson and the Olympians by Rick Riordan – I recently finished this series and LOVED it! It was a great YA novel and the characters were amazing. It has become a new favorite series from a new favorite author. I just need to get more of my friends to read it. 5. 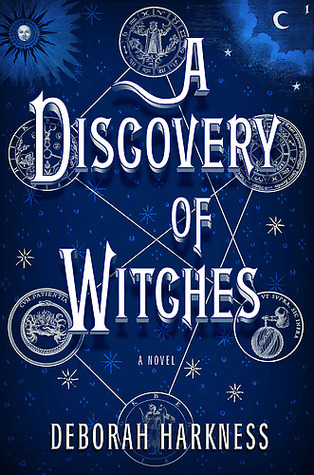 A Discovery of Witches by Deborah Harkness – I read this book last year and just loved the writing. After the onslaught of vampire romance novels lately I was hesitant to get into a book that involved vampires and romance (while not being an exclusive romance novel). However, I’m glad I did. The relationship is well done, the story is fascinating and the writing is captivating. I’m waiting for the last in this trilogy to come out before I continue on to book two, but the first was so very enticing! 6. A Song of Ice and Fire by George R. R. Martin – My god this series! Talk about epic fantasy! It’s just all too amazing and mind boggling and just YOU HAVE TO READ IT! Yes the books are very long but they are so very good! All the characters are individual and flushed out. 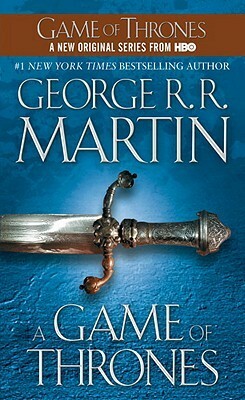 The story just jumps off the pages and you can’t help but fall into the bloody, cold and murderous world of Westeros. 7. 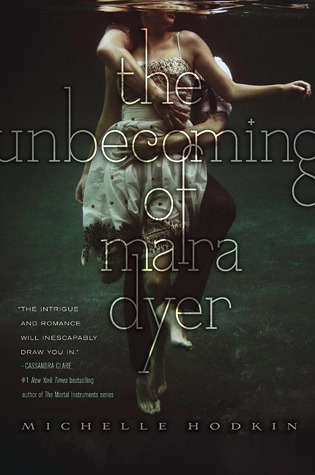 Mara Dyer by Michelle Hodkin – This dark and mind numbing YA series is just too good and too realistic. While it is a paranormal/fantasy type novel there are times where you are just left questioning if it could all have happened. The synopsis don’t do the books justice and I can tell you now, you won’t figure out what happens at the end! 8. The Hobbit by J. R. R. Tolkien – This children’s classic is just one you can’t pass up. 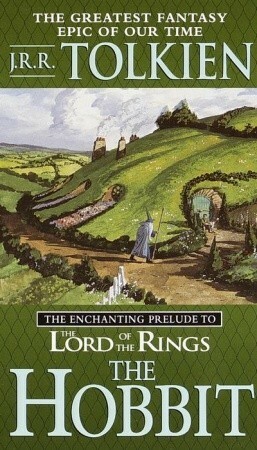 While Tolkien’s writing may be hard to get into at first, I can assure you that the story is well worth the effort. It is one of my favorites and has become a book I plan to read over and over and over again. 9. 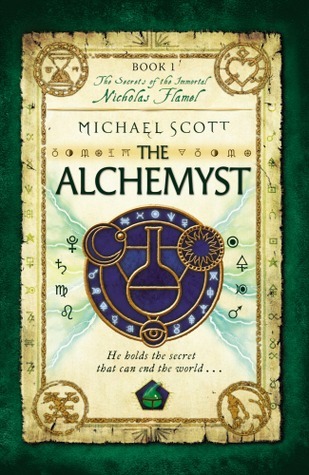 The Secrets of the Immortal Nicholas Flammel by Michael Scott – This YA series is another set in mythology. But that’s about as similar as it gets to Percy Jackson. This series contains gods and goddesses and beings from all over the world and from mythologies I haven’t even heard of. The writing is fast paced, action filled and yet there are still just enough humor to keep the good spirits going. The series is done so no worries on having to wait for that last book to come out. 10. 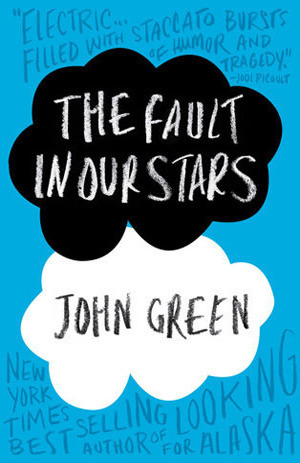 The Fault in Our Stars by John Green – You will cry and it will break your heart. Read it. Book Description: All year the half-bloods have been preparing for battle against the Titans, knowing the odds of victory are grim. Kronos’s army is stronger than ever, and with every god and half-blood he recruits, the evil Titan’s power only grows. While the Olympians struggle to contain the rampaging monster Typhon, Kronos begins his advance on New York City, where Mount Olympus stands virtually unguarded. 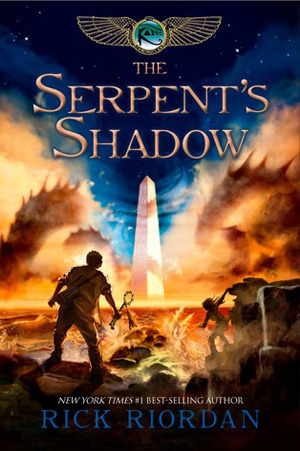 Now it’s up to Percy Jackson and an army of young demigods to stop the Lord of Time. In this momentous final book in the New York Times best-selling Percy Jackson and the Olympians series, the long-awaited prophecy surrounding Percy’s sixteenth birthday unfolds. And as the battle for Western civilization rages on the streets of Manhattan, Percy faces a terrifying suspicion that he may be fighting against his own fate. 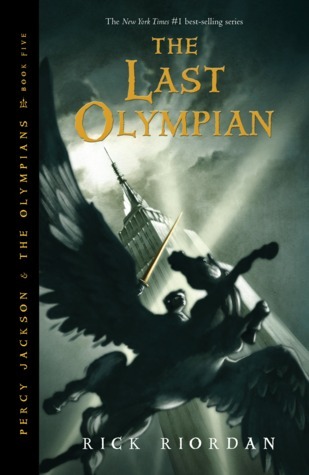 In this last installment of Percy Jackson & the Olympians, I laughed, I cried, I held my breath, and then I wanted more. The ending was everything I expected it to be. Adventurous and mind boggling. Sad yet still humorous. It had everyone I loved and all grown up. I enjoyed every happy, breath-holding and tear-jerking moment I spent with this book. I was sad to see the series end but I’m am very excited to start Heroes of Olympus and to see Percy and Annabeth even older and to see where Nico’s adventures take him. Finding out who the spy turned out to be was not who I expected. Not even a little bit. I’m glad to see how it was explained and yet the whole reveal was quite sad. Overall this ending was just perfect. It wrapped up everything that needed to and left us with yet another major prophecy yet to be fulfilled. I loved this entire series and can’t wait to own it all and reread it again some day. I have definitely found a new favorite YA author. Cover Crush is a new meme hosted by Vyki at On The Shelf where beautiful and eye-catching covers are spotlighted! Any cover can be showcased whether it be old or new, read or still sitting in your TBR stack. Truth or Dare is a fun new meme hosted by Jenna over at Jenna Does Books that is a bookish challenge based on the game of the same name. Chose truth for a discussion type question or prompt, or if you are feeling a bit more adventurous, chose dare! You can even choose both tasks if you like. So…Truth or Dare? Truth: What are the top 3 worst things about being a blogger? 2. Haters: This hasn’t happened to me personally but I’ve seen it around the interwebs enough times to know how annoying it is. Everyone is entitled to their opinion. But when I see others threatened to unfollow because of something the blogger post I just get so irritated. No one is requiring you to follow said person. And more importantly, blogs (for the most part) are personal. As a blogger I am entitled to post whatever I want. Say, for example, if I started posting more things that aren’t book related than book related posts, then that is my choice and my decision. It’s my blog and I’ll do what I want with it. (again, this hasn’t happened to me but I’ve seen it before on other blogs). 3. Book Review Requests: As a book blogger I get my fair share of book review requests. I love them! What I don’t love is getting the generic email that is sent to a buttload of bloggers at once. I don’t like how many instances authors/publishers consider us book bloggers as free media and don’t take the time to see if we have any requirements to requests. Or if we are even taken requests! Most book bloggers (me included) have a page or post which outlines requirements for book review requests. It’s really not that hard to peruse that page/post to see if 1) are they taking requests or 2) would they even read the book you’re promoting. What do you find annoying about being a blogger? What are your pet peeves?